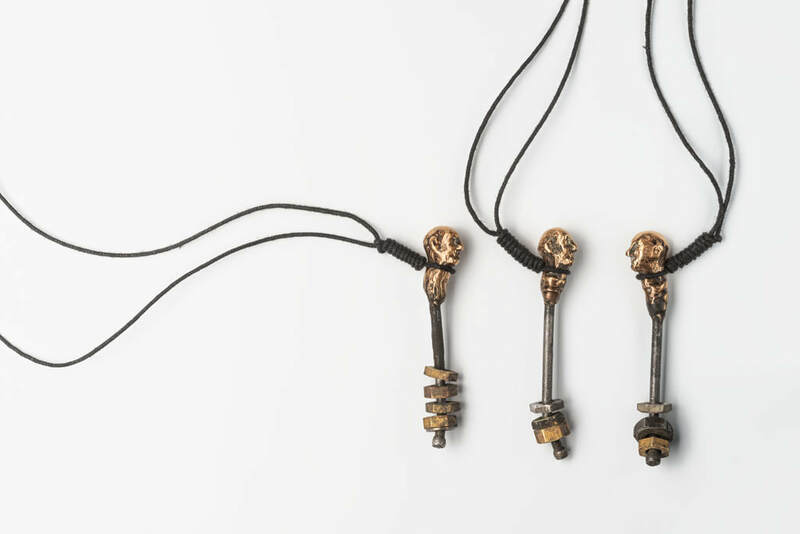 Head Shakers, Found nail, steel and brass nuts, bronze, cotton. 2017. Image: Michelle Bowden. As a fastener nails have had little variation since their first invention. An ancient Roman nail does not differ considerably from a modern machine produced one. They continue to serve a vital purpose in a wide range of applications such as horse shoeing, building, picture hanging, upholstery, but are easily discarded as valueless once removed or if bent while hammering. I work with nails that I find. My interest in them is once they have been discarded, when they no longer hold 'value' or 'purpose'. Nail Head Ring. Found nail, reused sterling silver, 2017. Image: Michelle Bowden. 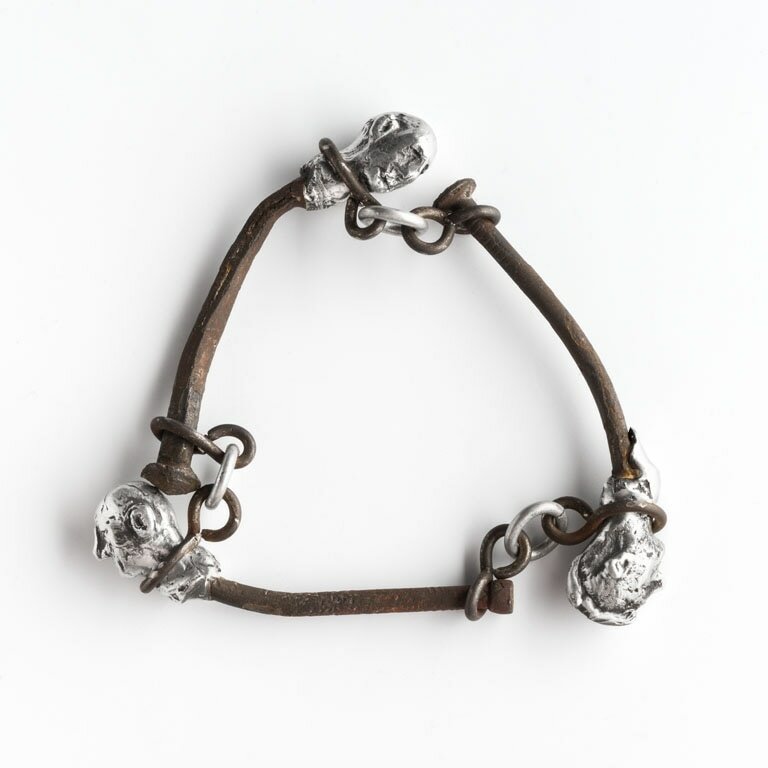 Nail Head Bracelet. Found nails, steel wire, reused sterling silver, 2017. Image: Michelle Bowden. 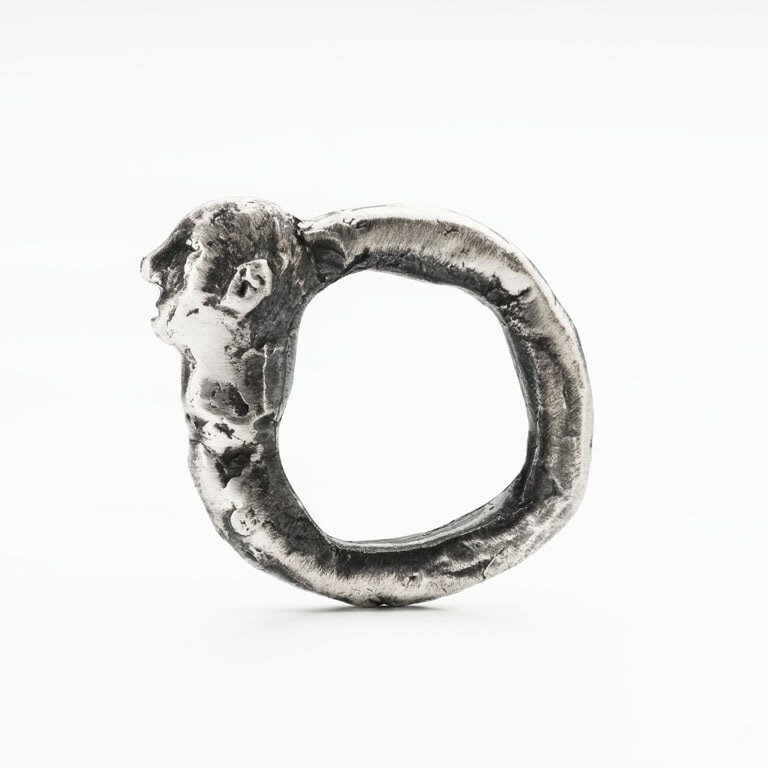 Head Ring, Reused sterling silver, 2017. Image: Michelle Bowden.